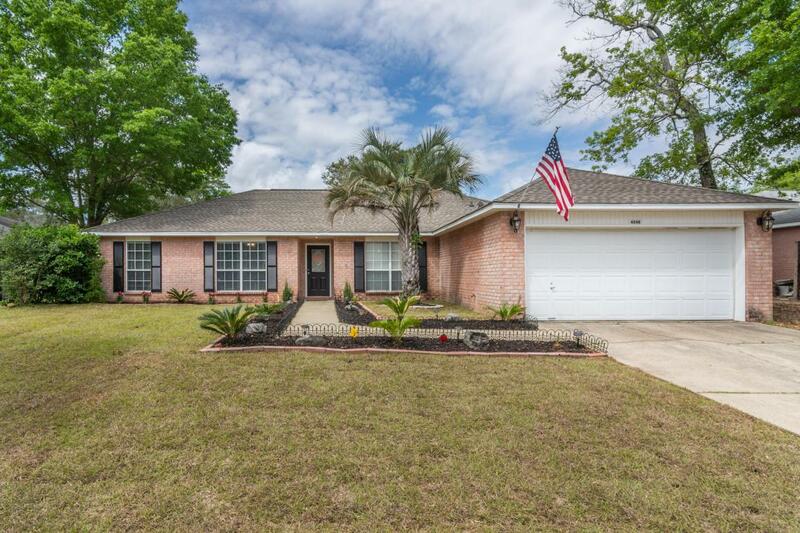 Stylish finishes are embodied throughout in this 4 bedroom, 2 bath REMODELED all brick home. With an open concept plan, this immaculate and modern home invites comfort. A sliding door opens from the living room to the screened salt water pool. The front and back yard are landscaped and maintained by a sprinkler system with timer. Upgraded details were carefully selected and quality crafted throughout the home. The kitchen with STAINLESS STEEL appliances and exotic GRANITE along with a custom tiled backsplash. The master bathroom features new double vanities, a garden tub and stand up shower along with new tile flooring. There is a separate room perfect for a dining room or office in addition to the breakfast nook off the kitchen. Practical facts: Roof 2016, HVAC 2014, Pool Equip 2015.